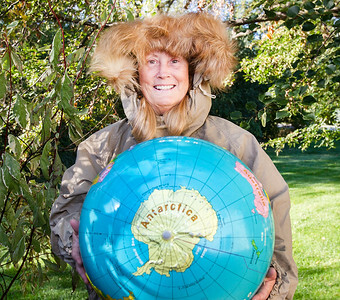 Sarah Nader - snader@shawmedia.com Betty Trummel of Crystal Lake poses for a portrait outside her home showing Antarctica on a globe Thursday, Oct. 13, 2016. 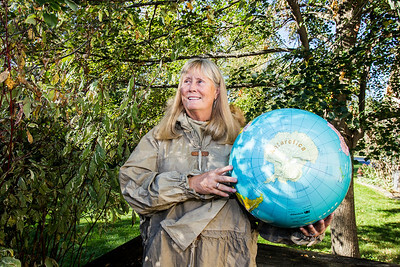 Trummel, a former District 47 elementary school teacher, will travel to Antarctica in December for three weeks. She's one of 78 women chosen from around the world to participate in Homeward Bound, an education and research expedition. This will be her fourth time visiting Antarctica.